Tonight we’re eating at The Pheasant in Burwardsley. I want to make a bit of an effort because I don’t have the opportunity to dress up that often, but by the same token , it’s a pub meal with friends so I can’t be too glammed up either. 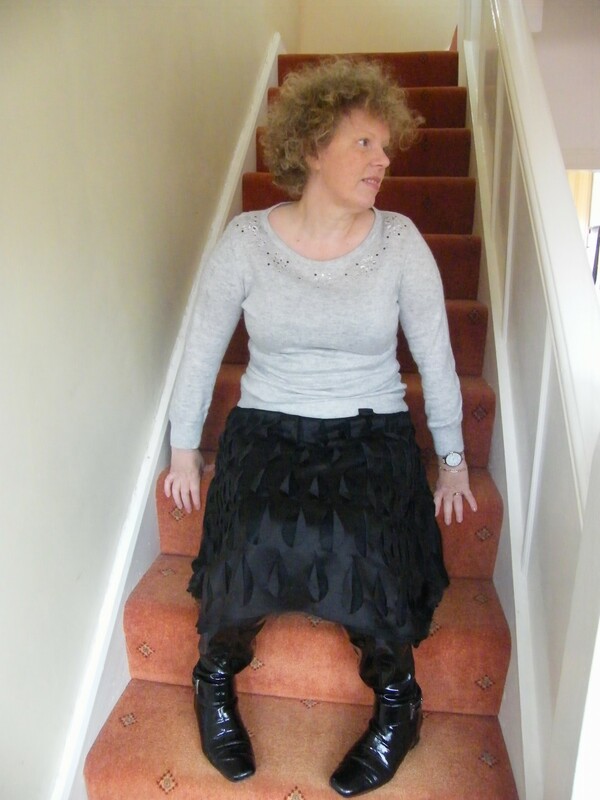 I’m wearing a skirt from Monsoon which I bought about five years ago for £40 or so. It’s been a useful buy as I’ve worn it with a variety of tops and it can be dressed up or down. It has a double layer of silk and chiffon so it’s very swishy which I love! The sweater is baby soft wool and is from the Debenhams ‘Collection’ range. It was £40 I think. It’s very comfortable and washes well, but the sequins have dropped off over time and I don’t think it will see another going out season. It won’t be binned though, as I can wear it with my black jeans to knock about in. I love the shiny knee high boots which I bought from a traditional independent shoe shop in Handbridge Chester called Alec Edwards Shoes http://www.alecedwardsshoeschester.co.uk/. It’s worth a visit as they have some fabulous finds. I think they were £55. 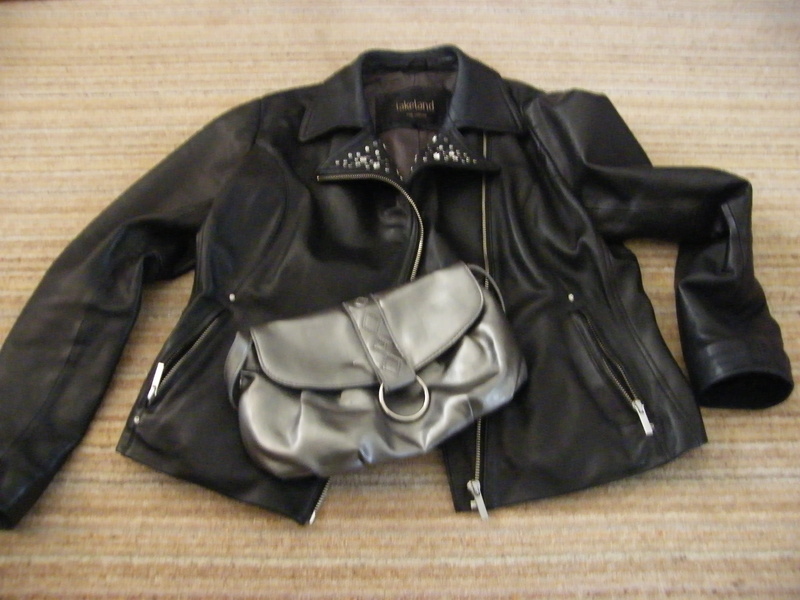 My black leather jacket is from Lakeland and cost £160 a couple of years ago. I was having a bit of a sparkly moment when I bought it, and in some ways think I should have gone for a plain jacket. It’s butter soft though and as long as I don’t try and go for a full on goth look, I can get away with the studs! The bag is a Jane Shilton and is another of my charity shop finds. I may have paid £2 for it. I love clothes and I’m having fun sharing my wardrobe with you!